It might have a gritty reputation but Baltimore, a vibrantly cosmopolitan city wrapped around a fork of the Chesapeake Bay, isn't as resolutely urban as you might imagine. Indeed, the centre is home to a series of rather charming art deco skyscrapers, while the city's 1920s boom is referenced in the increasing number of renovated speakeasies to reopen in recent years. More than anything else, Baltimore is dominated by its vast harbour, which alongside fishing boats and cargo ships, is a port for US Navy ships. Much of the harbour has benefited from gentrification and as a result, high-end restaurants, interesting shops and even a tiny city farm are found here. The area is also home to the vast National Aquarium and the Harborplace shopping mall, as well as baseball field Oriole Park. The West Side's redevelopment includes the city centre and Lexington Market. Established in 1782, the market still houses around 100 merchants. The once shabby historic districts of Fell's Point, Federal Hill and Harbor East have also been revamped and, like Mount Vernon and Little Italy, are now packed with trendy bars, shops and eateries. 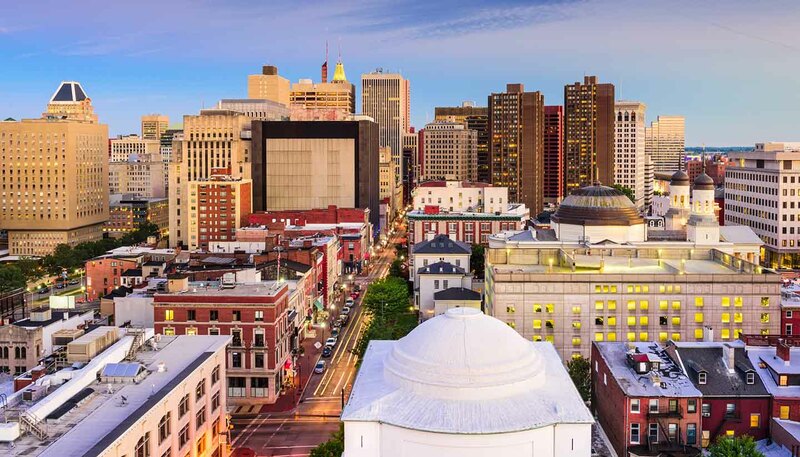 Baltimore is also home to a thriving culinary scene, much of it based on proximity to the Chesapeake Bay and the oyster beds that dot its shores north of the city. As a result, the city's many oyster bars are second to none, while the millions of crabs that live in the chilly waters of the bay have become something of a speciality, whether boiled whole or served up in a delicious Maryland crabcake. Bountiful nature is a theme that also applies to the surrounding countryside, with red barns and rolling farmland that wouldn't look out of place in Scandinavia. The area is also home to scores of Civil War sites, British outposts, and the poignant Reginald F. Lewis Museum, which retells the dark days of slavery.